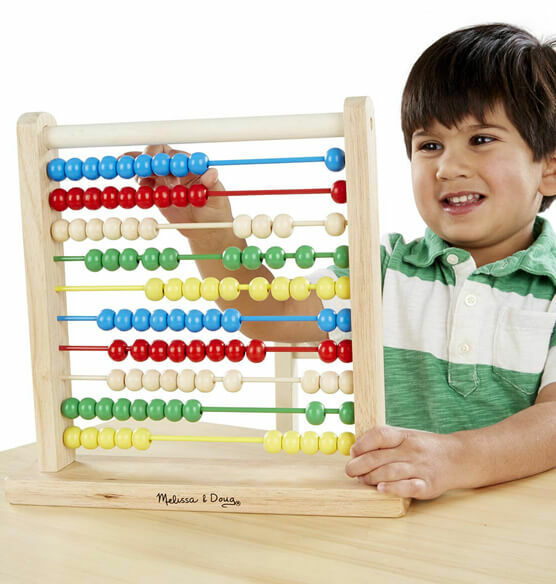 Count on this classic Melissa & Doug® Personalized Abacus for years of play and learning! 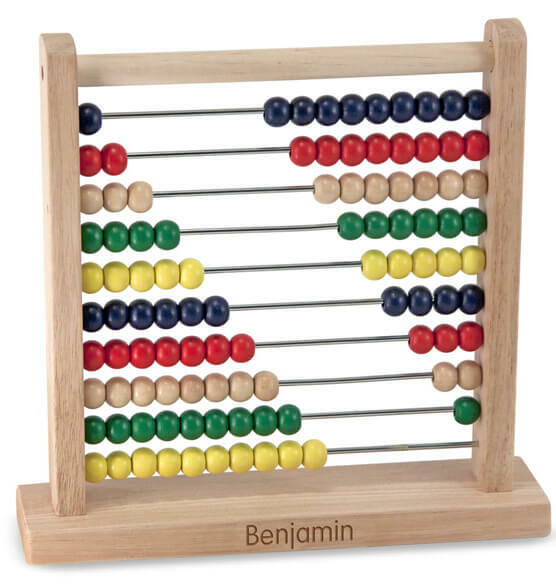 The wooden toy's solid hardwood base and frame holds 10 thick coated wires with 10 colorful wooden beads on each -- 100 beads in all. Slide the beads for a visual and hands-on way to learn numbers and math concepts and to explore patterns and colors. The children's toy includes fun activity ideas. Express shipping not available. Please allow 2-3 weeks for delivery. Very nice items for children and the personalization give and ownership to the children.